Arrive with honors into Honolulu International Airport with a Hawaiian greeting of a traditional flower Lei by your local Tour Coordinator. After breakfast you will depart for Kualoa Secret Island. Here you will enjoy kayaking, canoe ride, volleyball, BBQ lunch and the Chief’s comedy show. The rest of the day will be free time to shop or lay on the beach followed by dinner at Bubba Gump’s. With breakfast behind you, you will load onto your private coach and head to Pearl Harbor and the USS Arizona Memorial. 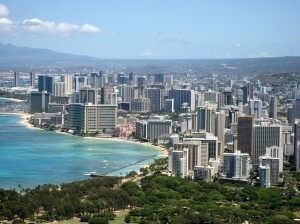 After departing the memorial, you will travel to The National Cemetery of the Pacific “The Punchbowl” followed by a Honolulu city tour including Washington Place, the Governor’s Mansion, the state Capitol, Iolani Palace and the famous King Kamehameha statue. Following breakfast you will have a change to learn about Hawaii’s delicate coral reef system and colorful tropical fish with a visit to Hanauma Bay for and educational film. After returning to your hotel you will the afternoon free to explore and just lay on the beach. Spend your last night in Hawaii at an authentic luau. You will enjoy traditional Hawaiian foods, music, entertainment and gracious island hospitality. 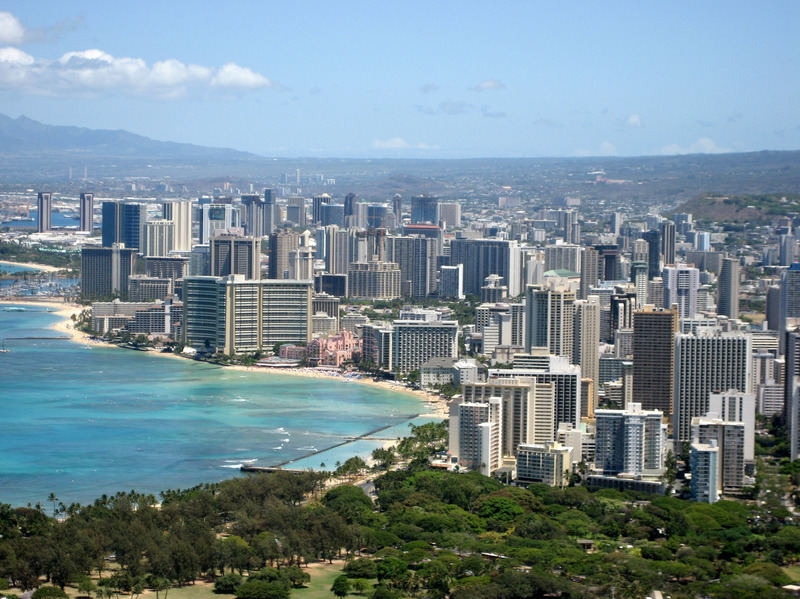 Finish your trip to Hawaii with a trip to Oahu’s most famous landmark, Diamondhead and, time permitting, enjoy the panoramic views form the summit. Transportation to the airport for departure is included. Click here for pricing and inclusion for this trip! Call us Toll-Free at 877-397-5700 to request a proposal for your school trip OR, complete the form below.